-- Select a Size/Color -- 6"-10" - Out of Stock! 10"-16" - Out of Stock! 14"-20" - Out of Stock! 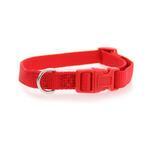 18"-26"
Add some color to your dog's day with the Zack & Zoey Nylon Dog Collar in Tomato Red! 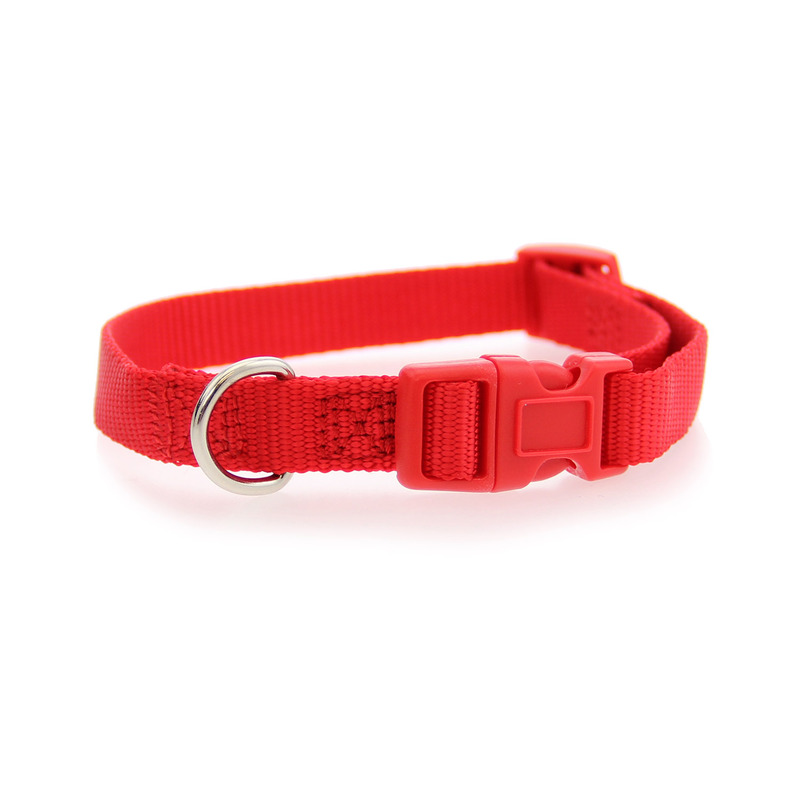 Our Zack & Zoey Nylon Dog Collar in Tomato Red is a durable and fashionable basic but this cheery red color is anything but plain! This lovely shade of red matches many of our red fashions found throughout our store so your pup can be coordinated from head to paw! Red is an attention-grabbing color that looks great on a wide variety of coat colors. This gorgeous colored collar is a great choice for supporting sports teams that feature red including the New England Patriots, the Chicago Bulls, and the Philadelphia Phillies. We love this red dog collar year-round, but we especially find it fun for Christmas, Valentine's Day, and for any patriotic event. Nylon Dog Collar by Zack & Zoey - Tomato Red Customer Photos - Send us your photo! Sure is cold up here in Canada! Posted On 01/20/18 by CINDY HANKS from BEAR, DE Yes, CINDY HANKS recommends this product! The Tomato Red Nylon Dog Collar by Zack and Zoey fits my dog, Poo-Bear, perfectly. It matches his new Red Sweater perfectly. I have gotten so many compliments. Posted On 01/05/17 by Mary S from , CA Yes, Mary S recommends this product! Great color! Well made collar! Posted On 10/17/16 by Mary S from , CA Yes, Mary S recommends this product! The collar is a beautiful shade of red and is of excellent quality. My dog has one in every color! Posted On 12/14/15 by Danielle C from Albuquerque , NM Yes, Danielle C recommends this product! I ordered these all the time. They are cheap and good quality. My dogs like to eat one another's collars off so these are perfect. Posted On 10/26/15 by Verally C from Chicago, IL Yes, Verally C recommends this product! Bright red color. Very cute and can be paired with anything! Love it! Max loves his new collar ! Posted On 06/10/15 by Thomas T from Leander, TX Yes, Thomas T recommends this product! 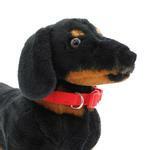 Great sturdy adjustable collar with solid clasp. Great colors. Got my foster dog adopted! Posted On 12/14/14 by Danielle C from Albuquerque, NM Yes, Danielle C recommends this product! I'm sure his good looks and personality helped, but this collar came in the day before the big "home for the holidays" event and my chocolate brown chiweenie was adopted! I sent this collar with him and his new owners. It fit him perfectly. He is 17 pounds and I ordered size small. Thanks Baxterboo! Tomato Red, great color for a great collar! This tomato red dog collar was given to a local pug rescue, and it is being well used! This collar is well made and sturdy--it will last a long, long time. The color is nice and vibrant, just what any dog wants! Great site for all dog needs.